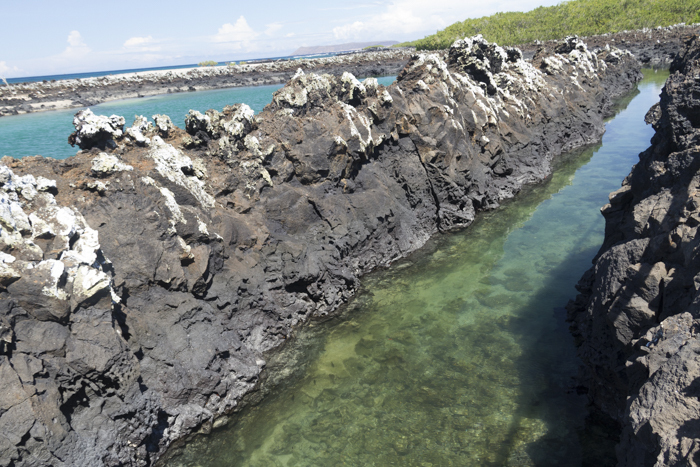 Isabela Island is a must see in the Galapagos Islands. In this post, I will explain why. 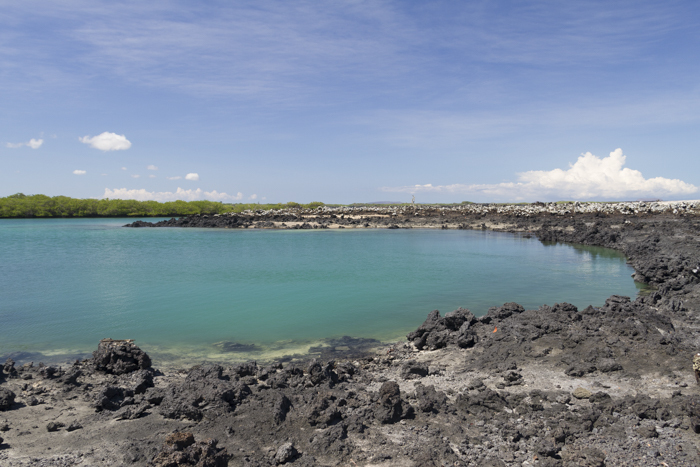 Isabela Island is the biggest Island in the Galapagos Islands and you should spend at least two days if you decide to visit! 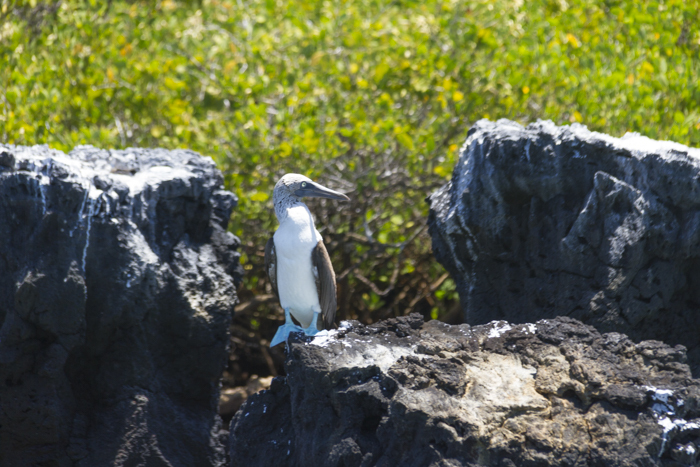 The Island has it all you need to see on your trip to the Galapagos Islands. If you want to see the beautiful landscape and a large variety of species. Isabela is a must see for you! Isabela Island is roughly 2 hours from Santa Cruz and it is a rough boat ride. If I knew this we would have checked out of the hotel in Santa Cruz and checked in somewhere on Isabela Island. You don’t need to book the tours before you go there, if you book a hotel on Isabela, they will most likely help you out! 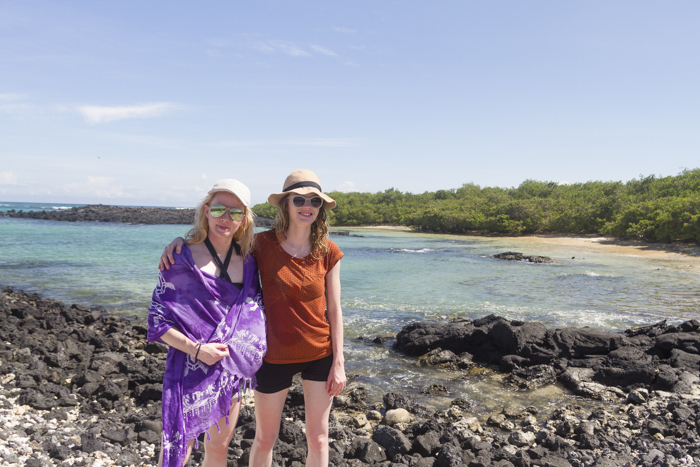 I went to the Galapagos Islands with my sister and we were based in Santa Cruz and we went to a day trip to Isabela Island. 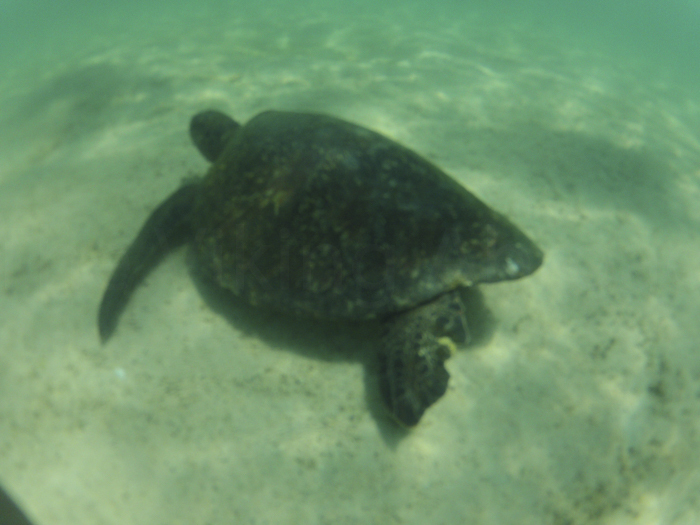 Isabela is one of the best islands in the Galapagos where you can see so many different species. Here are the ones I spotted. I love penguins. 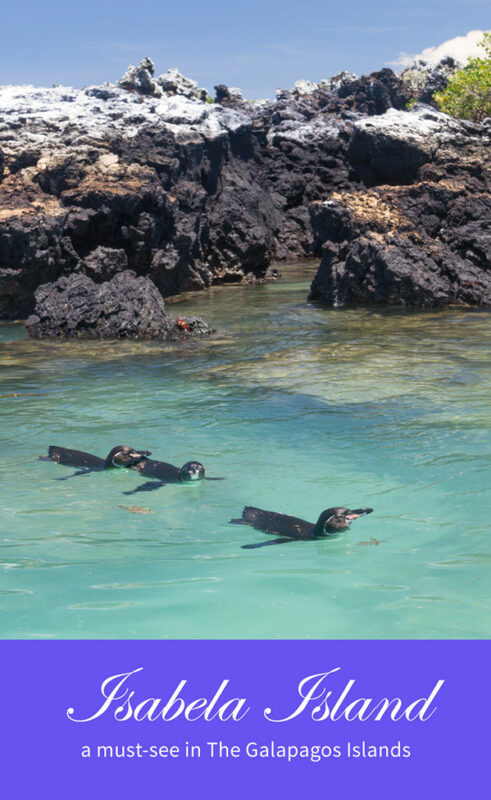 Galapagos Islands have the second smallest penguins in the world. 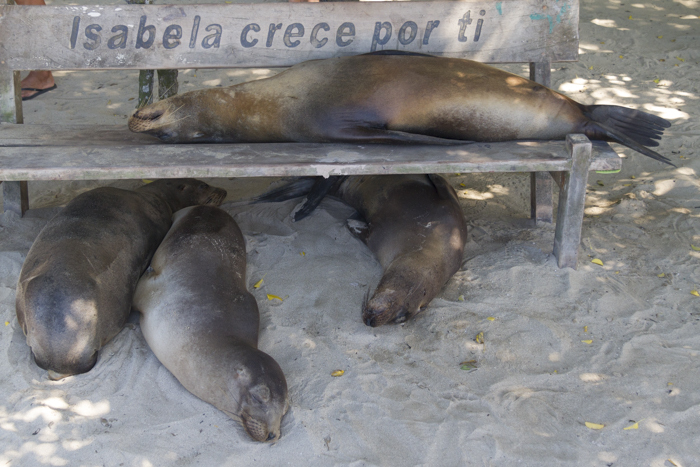 You can only spot them in Isabela Island and Fernandina Island. 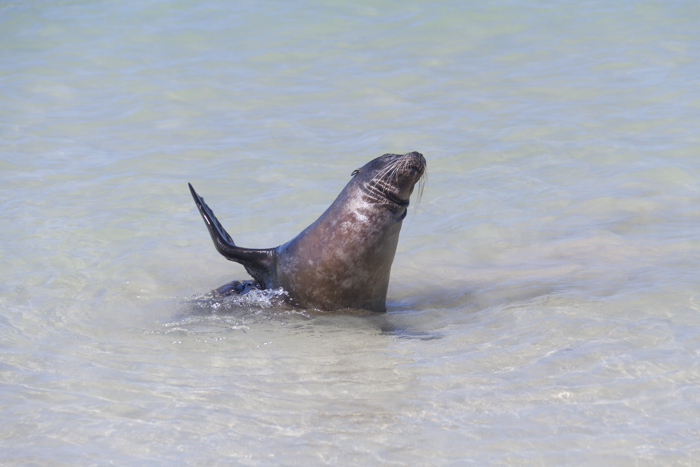 Arriving at Isabela Island you will see a bunch of Galapagos sea lions chilling around or even wave at you. 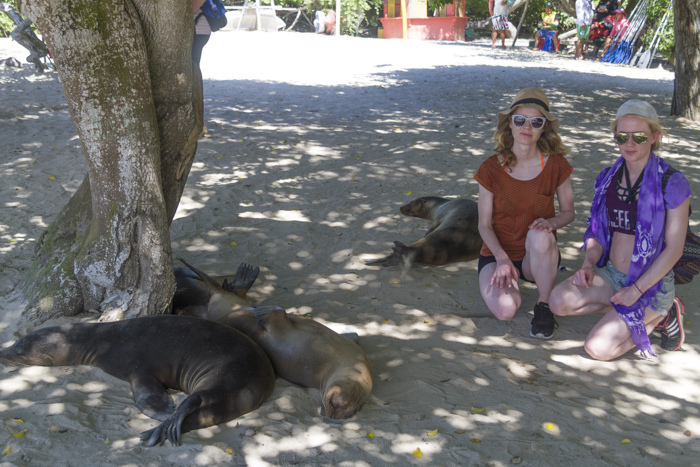 You can see Sea Lions on most of the islands in the Galapagos. 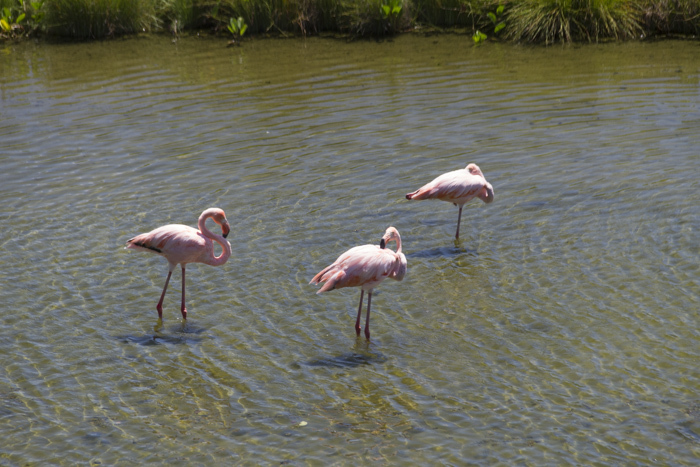 You can see flamingoes on multiple islands Isabela, Rabida, Santa Cruz, Floreana, and Santiago. I noticed that they are quite hard to take photos of because they constantly stick their heads underwater to eat shrimps. 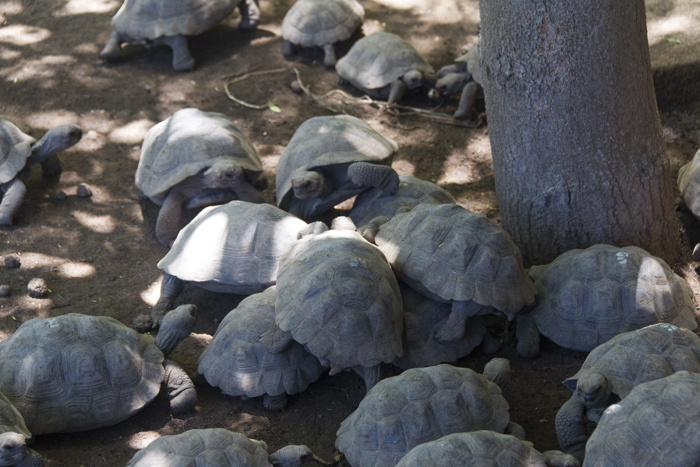 Isabela Island is home to more wild tortoises than any of the other Islands. 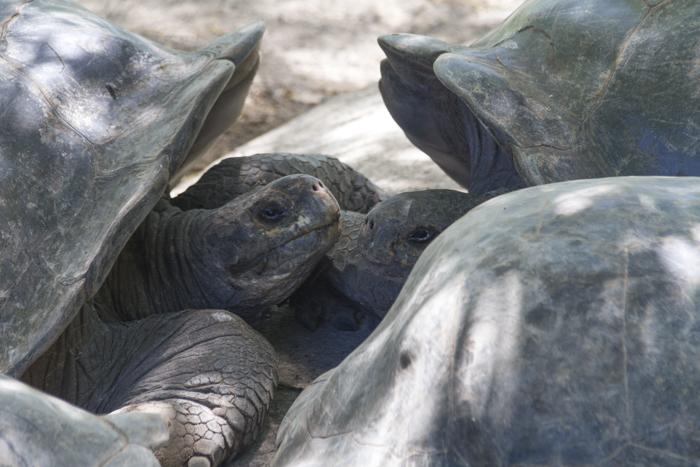 You can also visit the Tortoise breeding centre on the Island and see the old Tortoises and the babies. Sierra Negra and Wolf volcano are the two volcanoes you can spot on Isabela Island. I didn’t get to see Sierra Negra, but it looks absolutely stunning, and it is a nice hike. Read more on TripAdvisor here. The water was too hot for the sharks to be there but between June and November, you might spot them. 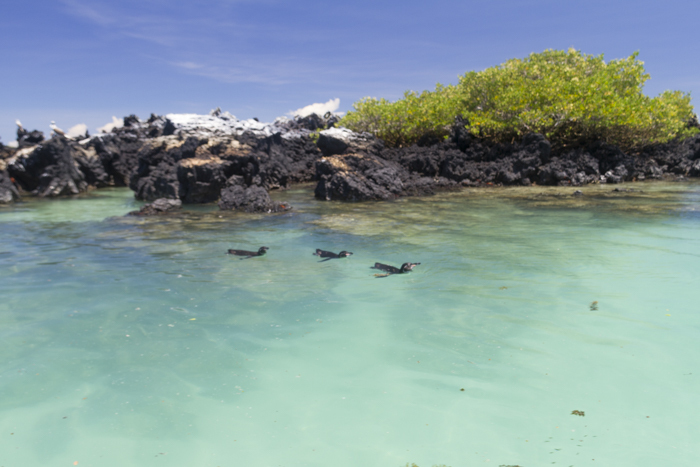 You can find some of the most beautiful beaches in the world in Galapagos. However, many of them are covered with volcanic rocks so remember to bring Aqua Shoes to walking on the beach, diving and snorkelling etc. You can swim with a lot of different animals on Isabela Island. 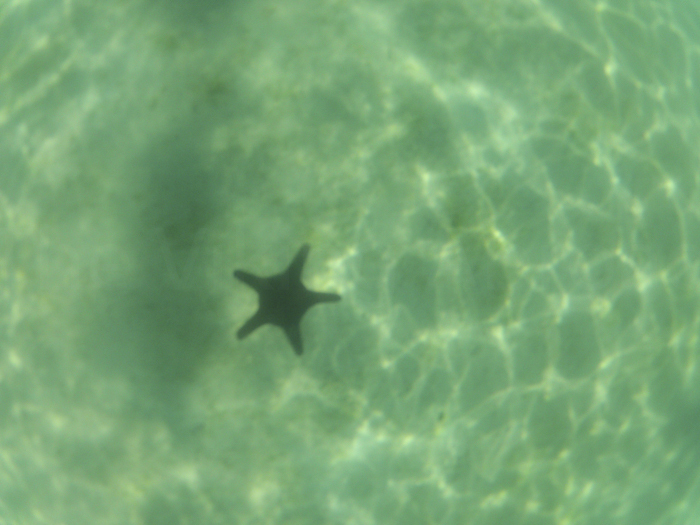 I saw Starfish, Octopus, Sea Turtles, Penguins and Marine Iguanas. Be aware that even though you swim with them you need to respect them and not touch them or get too close. Even though I visited Isabela Island just for as day, it ended up to be my favourite Island with so much variety of wildlife and scenery. 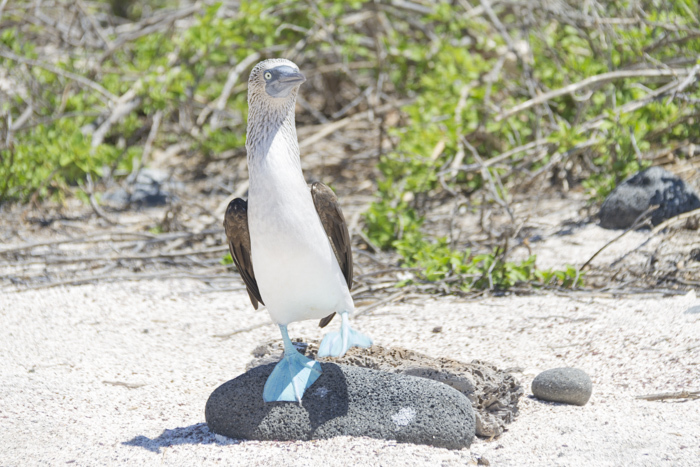 I highly recommend checking out Isabela Island on your visit to the Galapagos Island, along with North Seymour Island to spot the amazing birdlife. Ahhh I’ve been wanting to go to the Galapagos Islands so bad! It’s a real must see place in a lifetime! I want to see the penguins, blue footed boobies, and all the unique biodiversity the Galapagos are known for! Isabela Island seems like the perfect spot to take it all in! 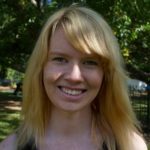 I have been reading your Galapagos posts and am planning a trip for sure. I seriously adore penguins so I know this is a must-go island for me. I recently saw wild tortoises’ in Florida on Egmont Key Island, but they weren’t as big as the ones you saw. I think the Galapagos is already on most people’s bucket list, so I certainly need no convincing! Friends of mine went recently to go scuba diving and they had an incredible trip. I’d love to get to mingle with some of these creatures. I’ve been looking for a place to see penguins in their natural habitat. Everything about Isabela island sounds beautiful. So many different species and the volcano! I would love to see an actual volcano. I’ve heard the galopagos are so well preserved and hopefully I can see them soon! So many amazing beautiful animals! You got to see some amazing wildlife! The Galapagos are definitely on my list, but this made it move up a notch or two! 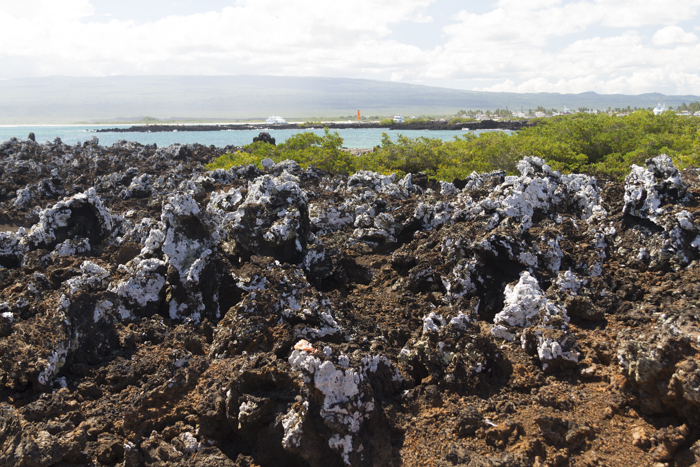 The bio-diversity of Galapagos Islands has always been a source of great fascination for me. Your post brings alive the vibrant life around the islands in vivid colour. The pictures are really stunning and I would love to head out there to experience this beautiful island. Of course, the nature is really beautiful on Isabela island, but what I love the most is that the animals feel very safe and free there. Must not forget Santa Cruz and Darwin Foundation’s locale there. 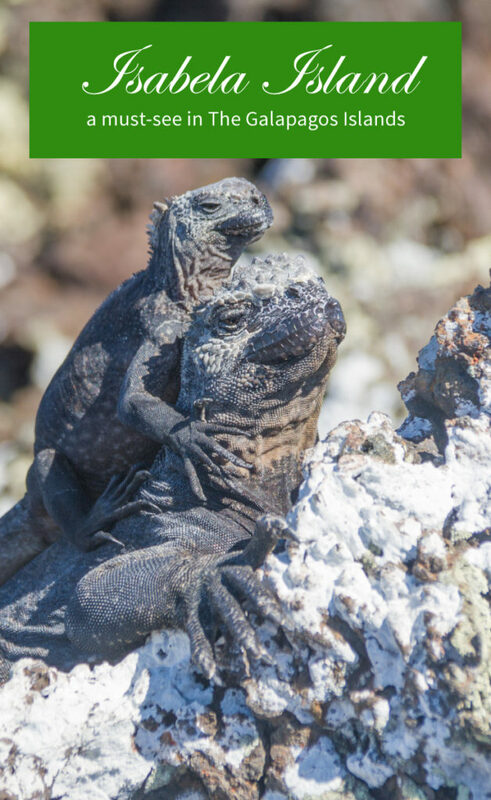 You can see the tortoises, their babies, land iguanas and sea iguanas and learn about Charles Darwin and what drove him to consider the islands special.